A book of timeless importance about the American West by a National Book Award-- and Pulitzer Prize--winning author. The essays collected in this volume encompass memoir, nature conservation, history, geography, and literature. 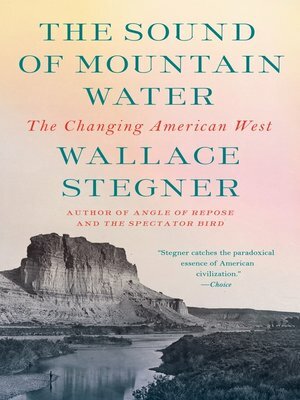 Delving into the post-World War II boom that brought the Rocky Mountain West--from Montana and Idaho to Utah and Nevada--into the modern age, Stegner's essays explore the essence of the American soul. Writtten over a period of thirty-five years by a writer and thinker who will always hold a unique position in modern American letters, The Sound of Mountain Water is a modern American classic.